A combination of strength and flexibility will help keep you active and pain-free. 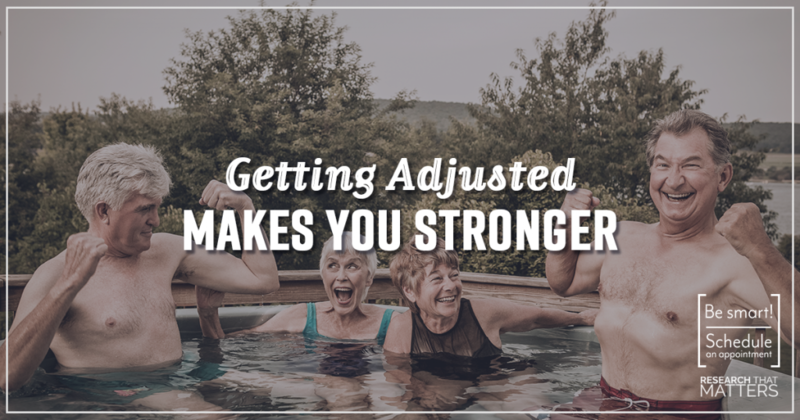 Bottom Line: Did you know that a chiropractic adjustment doesn’t just help reduce your pain levels it actually helps you get stronger? It’s true. Researchers measured the electrical activity in the arms and legs before, during and after a chiropractic adjustment. What did they find? An increase in cortical drive post chiropractic adjustment. That’s science-speak for more strength. Why it Matters: Stronger is Better… better stamina, better balance, better coordination, better performance in every area of your life. What will you do with more strength?